How can I tell if I need my wisdom teeth removed? 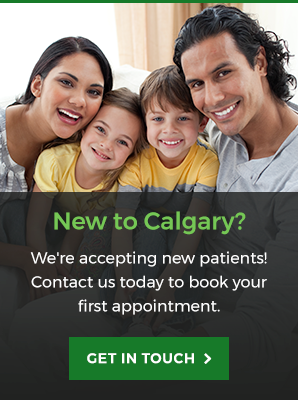 Our Calgary dentists explain why it's important to make a dental appointment to determine if you actually need your wisdom teeth removed. There aren't always obvious signs that your wisdom teeth need to be removed, but there are a few things you can look out for. Even if you notice some of the signs, it's imperative that you make a dental appointment to determine what is actually causing your symptoms. Wisdom teeth are a third set of molars that develop in some people between the ages of 17 and 25. These teeth can be a valuable asset to the mouth if they grow in healthy and straight, but sometimes they are misaligned and require removal. 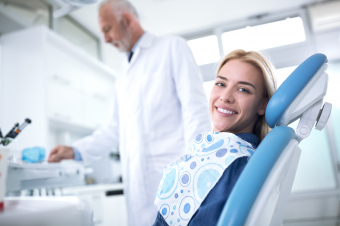 By removing problematic wisdom teeth, your dentist can help prevent issues with your oral health in your future. There are often no noticeable signs that your wisdom teeth need to be removed. Instead, your dentist will likely recommend an examination, including an x-ray, to see how your wisdom teeth are developing in the gums. Dentists generally perform this exam when a patient is between the ages of 16 and 19 and the roots of the teeth are not yet fully embedded in the gums. This is because the older you get, the more difficult wisdom teeth become to remove. If your dentist sees that a wisdom tooth is misaligned (which could crowd or damage adjacent teeth) or is only partially erupted through the gums (which leaves your mouth vulnerable to decay), they may recommend that it be removed. Here are a few other things that could also mean you need your wisdom teeth removed. However, these may also be signs of other dental issues, so be sure to check with your dentist. Sometimes when wisdom teeth start breaking through the gums, they can create a flap of gum tissue next to the tooth where small particles of food and bacteria can get trapped. As a result, gum tissue around the teeth may become inflamed. This can also occur around wisdom teeth that are still underneath your gums. As your wisdom teeth come in, they can push against your other teeth and make them move. This can cause discomfort in your jaw, so it feels stiff, sore and difficult to open. You may be able to tell if your wisdom teeth are coming through if you experience sinus pain, congestion and pressure. The growth of teeth and their roots can push against the sinuses located right above and behind the upper jaw area. This pressure, can cause sinus issues including headaches and pain. Misalignment caused by your wisdom teeth can also make it difficult to open and close your mouth. As a result, you may experience pain while chewing or biting. Another sign your wisdom teeth are coming through is bad breath and an unpleasant taste in your mouth. If you are experiencing any of these symptoms, contact our Calgary Dentists today to schedule an appointment.